The worlds of literature, film and art, both past and present, demonstrate the enduring popularity of the dragon as magical creature, fearsome fire-breather, insomniac guardian of treasures, and scaly flying serpent. A creature to be loved and loathed, perhaps, but never cuddled, stroked or offended! 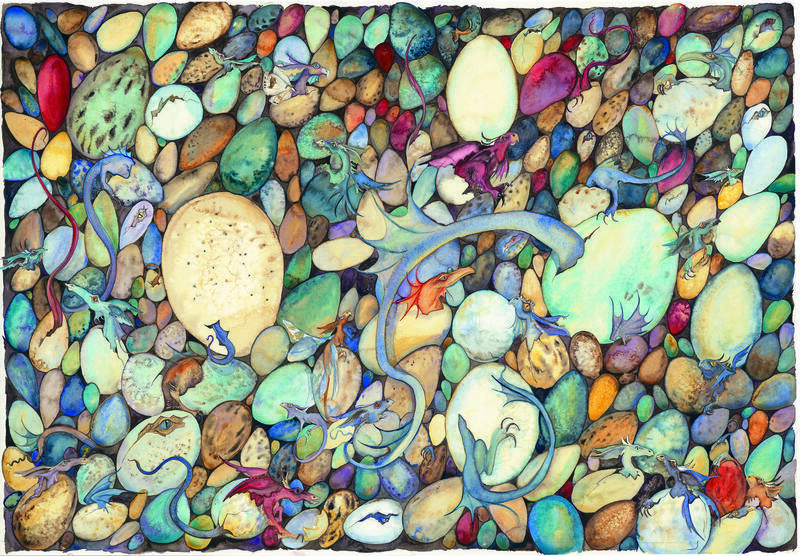 Our family oriented summer show sets out to mine this rich seam of dragon lore through images created by some of the world's best children’s illustrators and writers, from Chris Riddell (Ottoline and Goth Girl) and Axel Scheffler (The Gruffalo) to Quentin Blake and Cressida Cowell (How to Train Your Dragon). 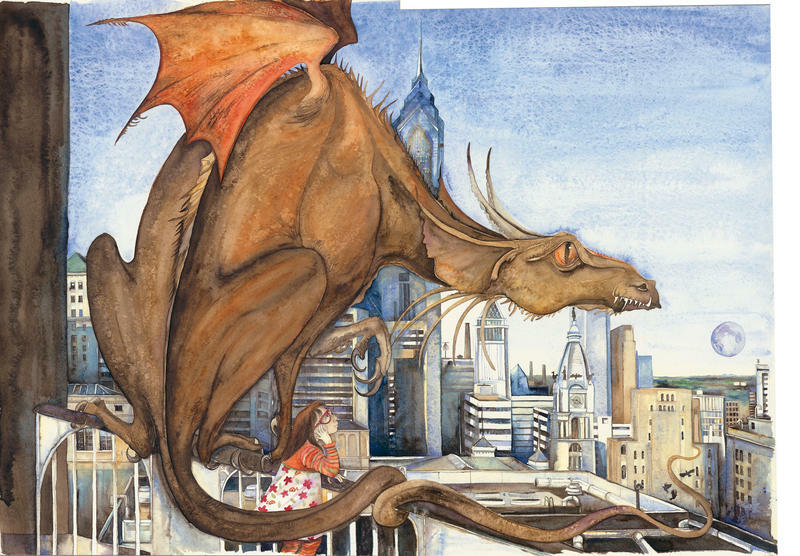 Visitors to this awe-inspiring exhibition can expect to encounter a veritable Dragon’s Den – in two and three dimensions – crammed with creatures that have leapt out of their favourite books. 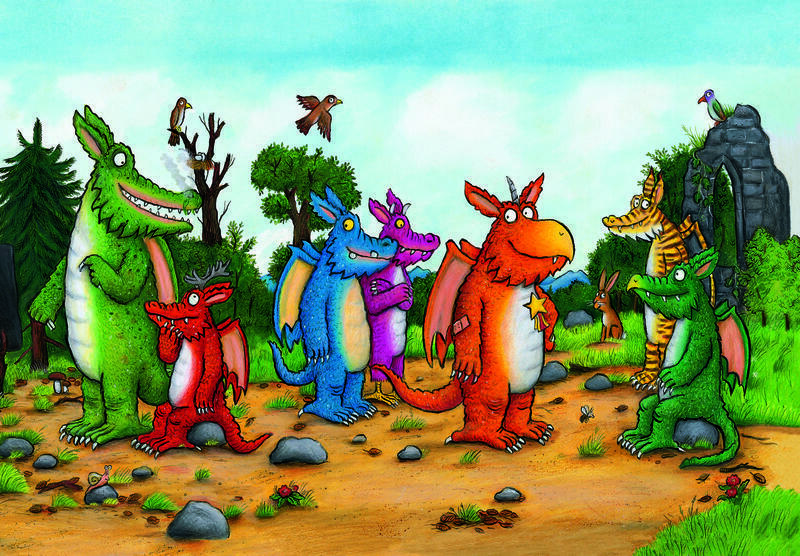 There will be copies of famous dragon tales to browse in our story corner and purchase in our shop. We will also be holding exciting dragon events and workshops. This exhibition will be guest curated by John and Gill McLay, founders of Bath Children’s Literature Festival. Dragons - awesome and beautiful work! To celebrate Here Be Dragons we have hidden eight virtual dragon eggs around the City of Bath. Each egg has been designed in the style of a children's illustrator including Axel Scheffler, Russell Ayto and Quentin Blake. Find them all from the 22 July for a chance to win an exclusive goody bag. It's simple, download our free app using the links below, and visit Bath between 22 July - 8 October 2017 to start hunting. You then need to follow the in-built compass to find the eight marker posters, each featuring the work of a children's illustrator. Point your device at the poster and the virtual egg will appear and be added to your collection. On the shell of each egg is a gold letter, find them all and complete the anagram to complete the challenge. The eggs are all close to the City centre, if you find the eggs in order the trail should take around an hour to complete. There are three exclusive goody bags to be won. All players who successfully manage to complete the trail and solve the anagram will be entered into a prize draw which will be announced after the competition closes on 8 October 2017. *Subject to availability. Only during gallery opening hours (10.30 - 17.00 daily).